In cold use, helps to remove shadows and swelling in the eye area, under eye circles and eye fatigue. Also helps to reduce headache from the eye and forehead region caused by migraine and sinusitis-induced pain. 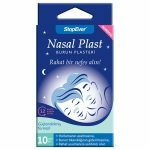 In warm use, it helps stye disease treatments and dry eye complication. 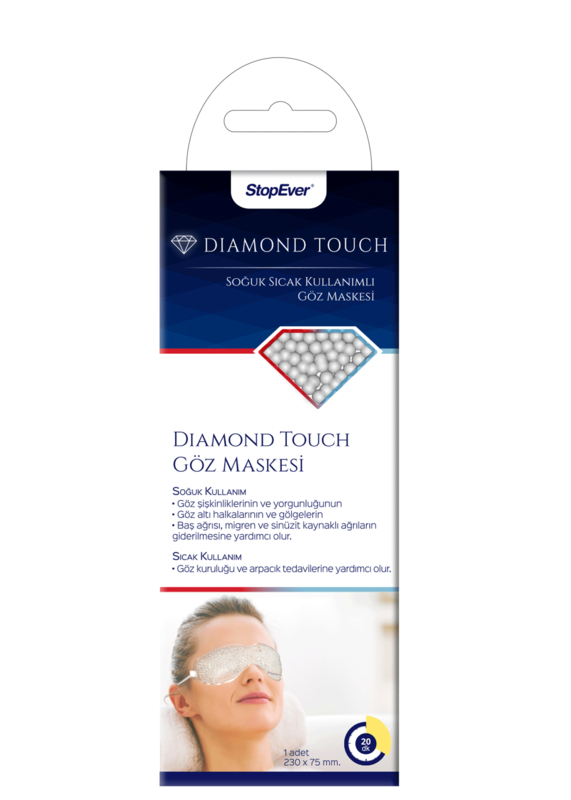 You can use the Diamond Touch Eye Mask for both cold therapy by freezing and warm therapy by heating. Keep the product that you removed from the box in the freezer compartment of the refrigerator for at least 2 hours. Cold use helps eye swellings, dark circles under the eyes and for pains, headaches caused by migraines and sinusitis. You can heat the product by holding it for 5-7 minutes in the water in a pot at a maximum temperature of 80 degrees. Do not use the product outside of the specified application areas. Do not use the product if you have a skin that is very allergic, intense tenderness or loss of sensation. Never use the product in the event of an open wound. In special cases (such as after surgical intervention), you should be secure an approval by your surgeon or your doctor before use. If an unexpected situation occurs during use of the product, stop using the product immediately. Your pain, discomfort, or distressing condition does not improve or stops, seek an immediate medical help. Do not use the product for longer than recommended. Controlled use against possible cold-burn conditions is recommended. Never use any method other than the recommended methods for hot use (oven, heater, etc.). After heating the product with the recommended methods, always check the temperature with your hands before applying. If the product is too hot, do not use it and wait for the temperature to decrease to the usable level. Do not press on the product. Never use explosive, damaged or leaking products. If the product content comes into contact with the skin, immediately rinse the area in contact with water. If the problem persists, medical attention should be urgently received. Not suitable for children’s use. Keep the product in a cool place away from direct sunlight and reach of children. © 2017 StopEver. All rights reserved.